Caringbah Rotary is very excited to have started talking to Blayney Rotary about visiting their town on 17-19 November. 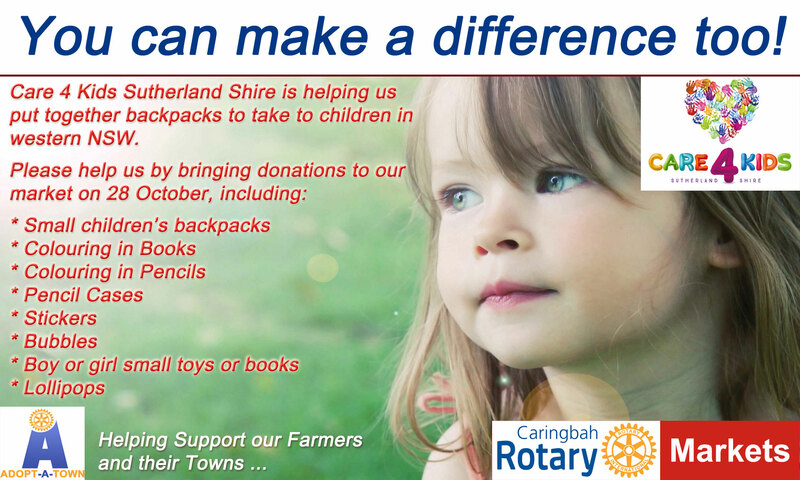 Leading up to this the public will be asked to donate items at their monthly market to create kid's backpacks to take on our first visit to hand out at Blayney's Farmer's Market on Sunday 18 November. Members will visit Blayney and stay in hotels, eat in restaurants, put on a free BBQ for the town at the Farmer's Market and visit local farms.